The order is expected to direct U.S. immigration agencies to begin a wide-ranging review and revision of employment-based immigration programs, rules and guidance. It is also expected to direct the Department of Homeland Security to broadly expand the agency's employer site visit program and other audit and investigation functions. The review and some of the investigative actions would begin immediately but the process and any changes to statute and regulation would likely take many months. President Donald J. Trump is expected to direct the Departments of Homeland Security, Labor and State to undertake a wide-ranging review and revision of U.S. employment-based immigration program rules, under an executive order that could be issued soon. The order would not mean immediate changes to the employment-based immigration system, but indicates that the Administration will aggressively seek restrictions and increased enforcement. Fragomen has prepared the following analysis based on a draft of the order. The final order could be different. The draft executive order directs the agencies to review all employment-based immigration regulations to determine whether any of them violate the immigration laws or are otherwise not in the national interest. The Administration also orders the agencies to study the impact of employment-based immigration on U.S. jobs and wages, including reports on whether the H-1B, L-1 and B-1 programs in particular cause injury to U.S. workers. The reviews and reports could be used as the basis to justify more restrictive immigration rules and policies. T he immigration agencies are also ordered to propose regulations that would limit the use of specific programs, including the B-1 business visitor category, the optional and curricular practical training programs for F-1 students (OPT and CPT) and the H-1B and L-1 visa programs. DHS is also directed to evaluate the uses of parole and whether they conform to the immigration statutes. The recent international entrepreneur rule and other important uses of parole may be scrutinized. Increased site visits and other initiatives of the USCIS Fraud Detection and National Security Unit are expected, including the immediate revival of the Benefits Fraud Assessment program, under which the agency reviews specific immigration programs to determine whether there is fraud. According to the draft, within six months, the administration plans to expand the L-1 site visit program, which is currently limited to L-1A nonimmigrants who have received an extension of stay from a USCIS Service Center. There is also a plan to expand the site visit program to all immigration categories within two years. The Department of Homeland Security is directed to look at ways to increase E-Verify usage, which may include conditioning the use of certain immigration programs on participation in E-Verify. Many of the Administration's plans will require compliance with federal rulemaking procedures, which can take months to unfold. Still, the draft executive order could mean an imminent increase in worksite inspections, and may result in more restrictive adjudications at the immigration agencies. 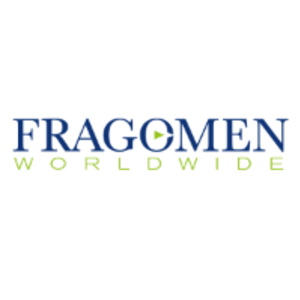 Fragomen is closely monitoring the Trump Administration's immigration policies and will provide frequent updates.